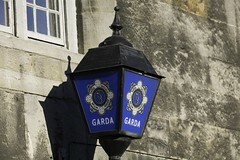 NOTE: GARDA Website currently having difficulties with large amount of traffic!! An Garda Síochána have released detailed maps on where their “Speed Enforcement Zones” are placed throughout Ireland. In a brave move to reduce deaths on our roads, the Gardai believe this is just one more step in the fight against eh.. speed! This entry was posted on Tuesday, September 23rd, 2008 and is filed under Internet & Computers. You can follow any responses to this entry through RSS 2.0. - This post was created by Tom Doyle - You can leave a response, or trackback from your own site.